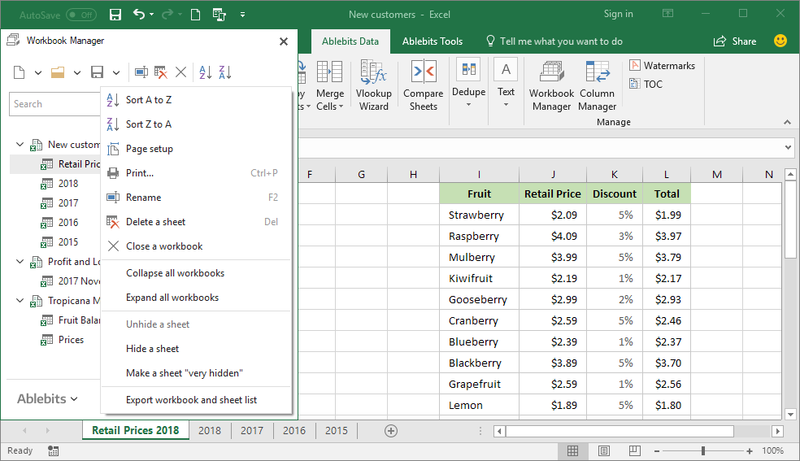 Workbook Manager organizes all opened Excel workbooks in a catalogue so you can easily navigate through your files. 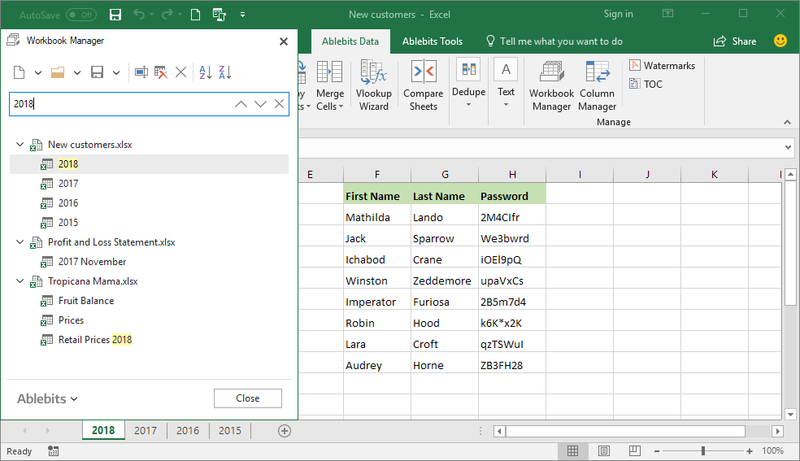 Move worksheets across workbooks, insert, rename, delete, and resort them. 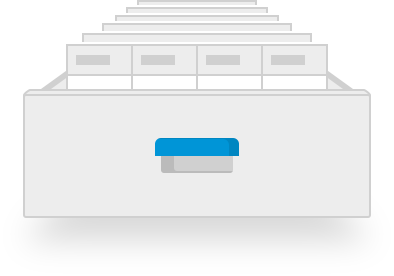 Work with your current document and see others in a tree view. Navigate between all open files See a list of all open workbooks on a pane and switch to a specific sheet by clicking its name. 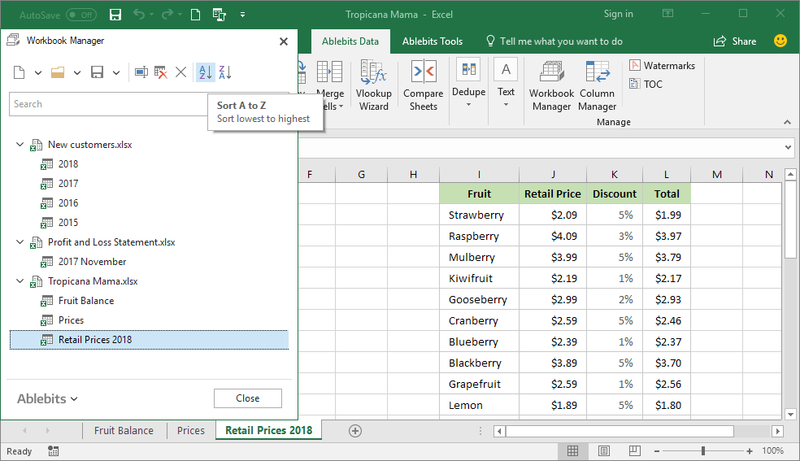 Sort worksheets in alphabetical order Alphabetize your Excel spreadsheets A to Z or vice versa. Find worksheets by name Type any part of the worksheet name, and all the matches will be highlighted straight away. Copy or move sheets with drag-and-drop Rearrange the sheets in a workbook or move them to another file by dragging on the pane. 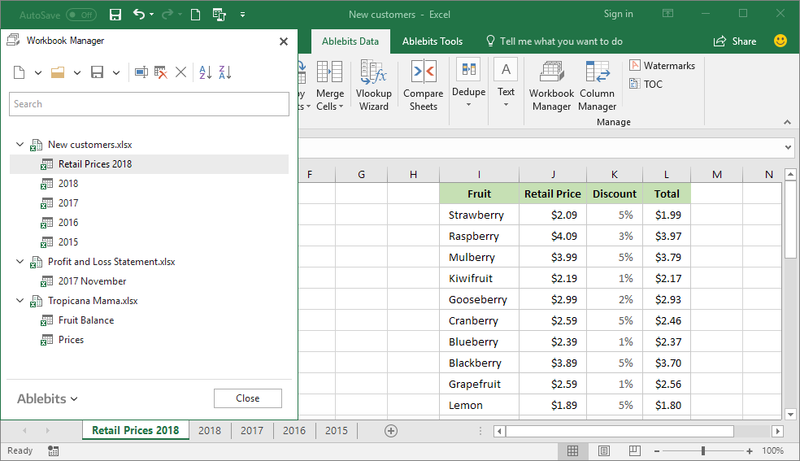 Manage worksheets and workbooks Easily rename, delete, edit, and save your Excel worksheets. Insert any worksheet type in a click Create a new workbook, worksheet, Excel template, chart sheet - all with a single button click. What is Workbook Manager and what do I need it for? Workbook Manager is specially designed to make your work with large Excel documents easy and comfortable. With just a couple of clicks, you can find the needed worksheet in a workbook containing hundreds of sheets, copy or move tens of sheets to another file at once, alphabetize worksheets, and more. Does Excel provide any way to navigate in workbooks? There are only two inbuilt options. You can use the Switch Windows command to move between multiple opened workbooks. Or you can right-click one of the arrows to the left of the sheet tabs to display a vertical worksheets list. Either way, you will only be able to switch to another file or sheet, and do nothing else. How to work with Workbook Manager? Click the Workbook Manager icon under the Ablebits Data tab. Right-click any worksheet or a workbook and choose the desired action. Or, click the corresponding icon on the add-in's toolbar. How do I move and copy worksheets from one workbook to another? To move the worksheet of interest to another Excel file, just drag it on the pane. To copy it, press and hold the Ctrl key while dragging.